Small Grant Snippets provides information about all the additional Queensland and national grants that are $10,000 and under. Government, philanthropists, organisations and corporate groups offer these grants. Links to the relevant websites. If you’re a small business operator, you’ll also find it helpful to keep you up to date with government programs targeted at you. Lately, they are tending to offer smaller grants to help a larger number of recipients. Most of our subscribers have been receiving Small Grant Snippets for more than 12 months – a great indication of the value it provides. Following your initial download, you will receive new editions for a further 11 months, between the 12th and 17th day of the month. They will be sent via an electronic newsletter from Indigo Gold. 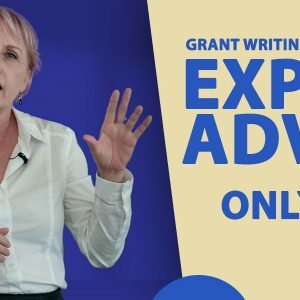 Additional alerts regarding new grants that have short deadlines will be sent when relevant so that you don’t miss opportunities. 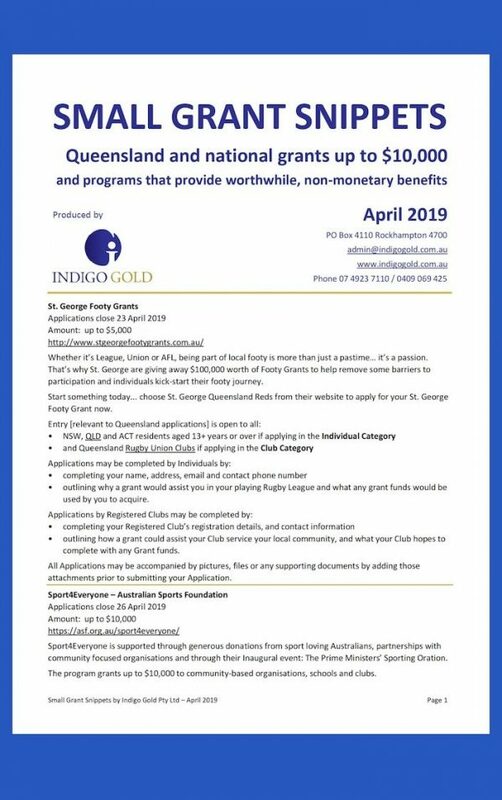 Approximately four weeks before the expiry date of your subscription, an Indigo Gold team member will contact you regarding renewing your subscription.